Trying a new sport: hockey! I’m still absolutely buzzing from last night. My bum hurts. And my legs. And my core, strangely enough. Didn’t expect that one, but I’ll take it. 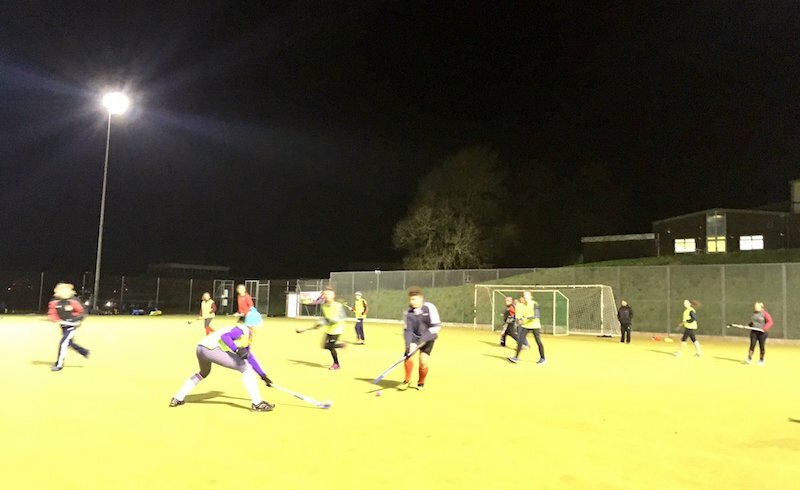 Last night I went to my first hockey session with Southwick Hockey Club and LOVED IT. It’s been so long since I’ve played a team sport, it brought back happy memories of rugby training in the winter as a teenager. When I got home my legs were screaming at me like they do when I’m marathon training so it must’ve been a good workout – back on the magnesium and foam rolling I go if this is how it’s gonna be! ICYMI, I’m trying out hockey for six weeks as part of Vitality’s #WomenInSport campaign. I first blogged it here, and you can visit the Vitality website for more info and to find your nearest sports team here. Last week I was lucky enough to meet some of the England Hockey men’s and women’s team at Lee Valley Hockey Centre to get some tips and learn some skills before joining my local team yesterday. I joined two other bloggers Lucy and Geraldine to learn the basics like how to hold and move the stick, how to pass, shoot and tackle. I wasn’t sure what to expect on the day but I loved it then and I loved last night even more – I’ve never played hockey before, apart from literally a couple of times at school so this is all new to me. And you know I’m a sucker for a new challenge! 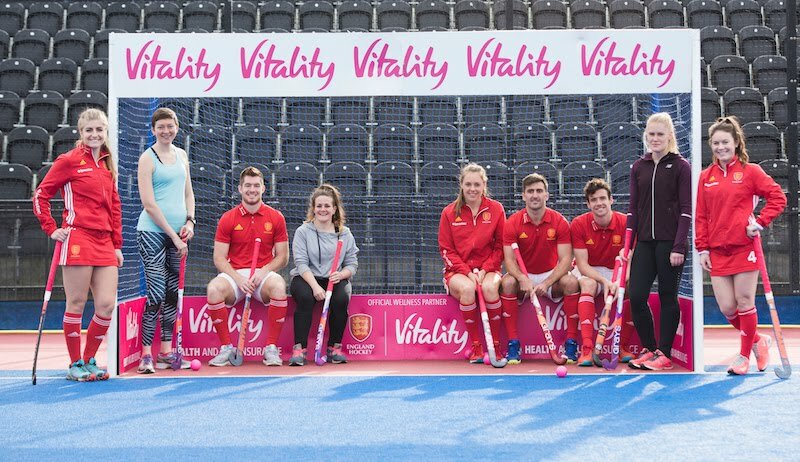 Vitality has just become the Official Wellness Partner of England Hockey, as well as title sponsor of both the grassroots programme, Back To Hockey and the 2018 Vitality Women’s Hockey World Cup, taking place in London next summer (get your tickets here – it’s gonna be a banger). It’s been a big week for the women’s England team, with this news and also Alex Danson’s much-celebrated captaincy being announced too. Laura Unsworth (one of the players at last week’s session), and Hollie Webb have been made vice captains so big congrats to them also. It’s a big year ahead for the sport, with the 2018 Gold Coast Commonwealth Games in April followed by the home World Cup in July. So it feels like a good time to get into hockey, don’t you think?! Big things are coming – and with the new Vitality partnership it can only bring more visibility to the sport in the lead up to next year’s tournaments. Read my reasons to join a sports team here. 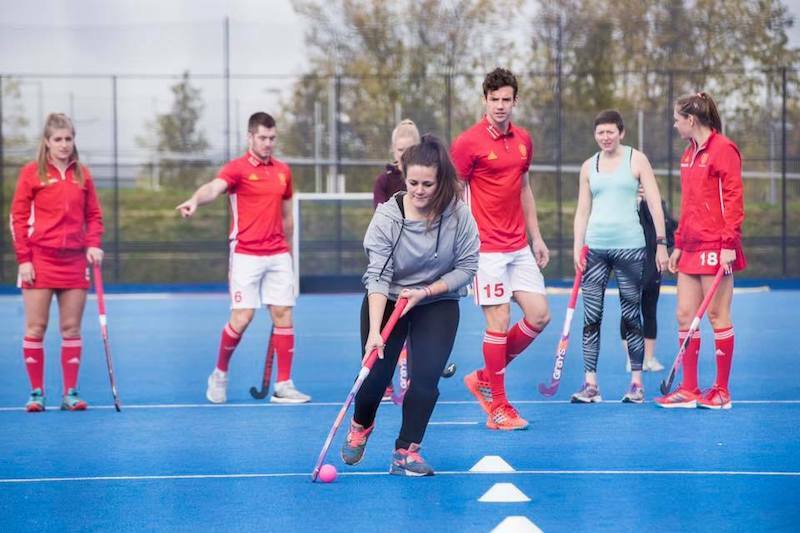 My job then, as one of the #WomenInSport bloggers with Vitality and England Hockey, is to throw myself stick-first into the sport and share with you how I find it. To make new friends, learn new skills, get fitter and give myself a reason to get outside this winter. And maybe score a goal or two? We’ll see. I scored two goals in my second match! Read about that and my reasons to join a sports team here. I had such a wicked time at last night’s training. Everyone was really welcoming and I learnt so much. It reminded me of rugby where we spent time practicing drills and skills to use in a game. We did fitness (sprints – it’s been a while!) and lots of passing, tackling and dribbling skills drills (is that what they’re called?!) before putting them all to use in a game. I had absolutely no idea of the rules (must read up!) but learnt on the go as we played, and everyone was so supportive and friendly so it was such a lovely vibe. It wasn’t clicky like you might think some teams are – just everyone there together to enjoy a sport. Everyone helped each other out, shared tips with me and other newbies, and cheered the good tackles and strong passes. When the coach asked at 8.30pm if anyone wanted to stay until 9pm my hand shot up – I was sold. So much so that I *may* have agreed to play my first match this Saturday with the ladies second team. I have no idea what I’m doing and I only know about five of the team’s names so calling for the ball will be interesting (although pass it to me at your peril!). I don’t know much about the positions or anything yet but I do know that I can learn, so that’s exactly what I’m gonna do! I drove home absolutely buzzing, the smile not leaving my face until I’d burst through the door to annoy Chris with my new-found excitement. (I do this a lot, he’s kinda used to it). Stay tuned on my Instagram, Twitter and Facebook to see how I get on for my first match and onwards for the next six weeks. I have a feeling I may have found a(nother) new favourite sport… what do I want for Christmas? More days in the week please! Find out more about Vitality’s #WomenInSport campaign and the other fab bloggers taking part. 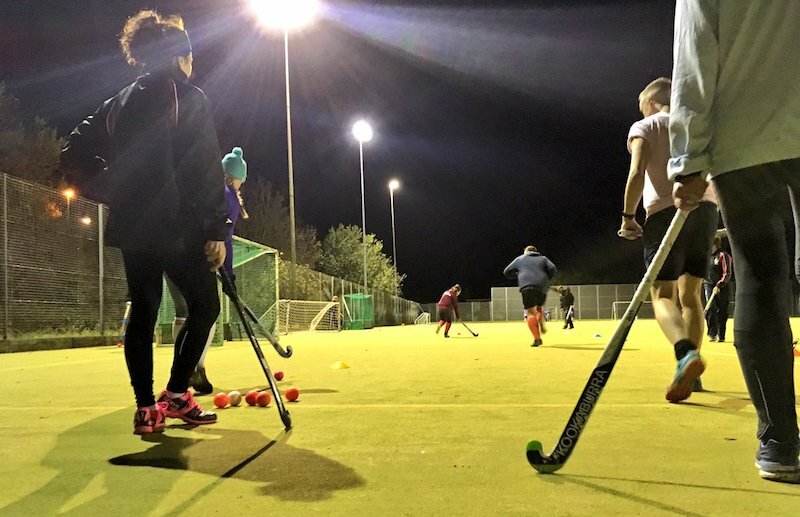 Fancy giving team sport a go – Find your local sports team on the Vitality website and find out more about hockey on the England Hockey website. This Girl Can Ambassador for Sussex – let’s break down the barriers to exercise and show how fun it really can be! Tess Tries:my first Breeze cycle ride! Have you ever played hockey or another team sport? Throw your tips my way – I’m gonna need them! Previous Post What type of cyclist are you?